We received your query. We will contact you shortly. A Limited Liability Partnership (LLP) is a company formed by two or more partners having limited liability towards the business. This implies that each of the partners in business is not held responsible for the other’s actions or wrongdoings. All partners together share the profits and losses generated by the business. This form of business was brought into force in 2008 by the Limited Liability partnership Act. LLP companies usually do not have general partners where all business owners have unlimited liability. Here, all partners are involved in the running of the business with restricted liability. Though the procedure is by and large similar, a few states might have slight variations in the regulations, for instance, some might give LLP registrations only to professionals such as chartered accountants, advocates etc. This advantage tells that an LLP is a legal business entity which separates from its designated partners/members as similar to Pvt Ltd; can take participate on corporate world to emerge its necessity. It has wide legal capacity to enter into contracts, can acquire properties by own name and also can get debt from outside. Most advantage is that the partners are no liable to such types of debt, it counts to company. 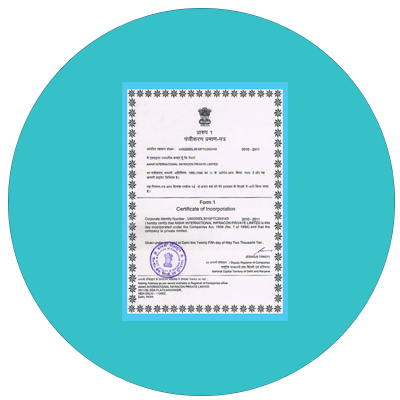 A LLP, which is an artificial legal person by law; it has the ability to get debt from national financial institutions, banks and venture capitalists as per the company status but cannot get investment opportunities from Foreign Institutional Investors (FIIs) and Foreign Venture Capital Investors (FVCIs) as compared to private limited company. So LLPs are not allowed to raise foreign currency loans, but can attract nation’s capitalists. Liability means a person/ member/ partner of an organization/ company is being legally responsible for his or she owes; so the partners of LLP have limited liability to their company and are liable to pay a limited amount of debt that acquired from the company as mentioned in agreement. Each partners or members in LLP are responsible or liable for their debt but not for another partner’s negligence or misconduct. As LLP is a legal entity, it has the capability to own funds and can acquire other properties by own name whether it is movable or immovable and tangible or intangible. The property of LLP is not the property of partners, all right reserved for LLP Company. So, no partners would make any claims about the property during the business concern. Due to the feature of Separate Legal Entity, an LLP is a separate personal entity from its managing partners/ owners. This designation of partners/ members and all its shares of stocks can be transferred to new allowed partner by the rules & regulations of company laws under the LLP Act. LLP has the flexibility to transfer ownership easily. An LLP combines the advantages of both Partnership and as well as the Company into a single form of organization; so this is the fact, that any member of the company came into an effective written contract to carry off various roles or positions during the same working time like be a partner, creditor, supplier and also an employee of the LLP. The partners of the company should make sure to choose a name that is unique, easy to remember and not similar to any other existing registered business or trademark. The name chosen should not have any distasteful meaning that can cause harm or displeasure to any party. The name cannot have any political connotations or have words such as President, Republic, British India etc as per the regulations. The company must also use the LLP as a suffix to its name once in existence. Before finalizing on a name, the availability of the name can be checked on online portals or agencies that offer company registration services. It is important that the members of the company unanimously agree to the name chosen to avoid any internal discord that may adversely affect the company. An LLP is the most convenient and cost-effective way to start and set up a business. 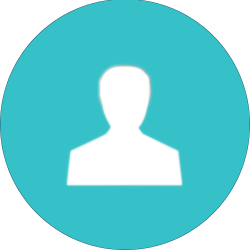 It entails the features of a private company without the complicated legal bindings. An LLP also enjoys better tax efficiencies than other forms of companies. When done with proper due diligence, it can be the most suitable way of running a business and get established in an industry. To start with, an LLP needs to have a minimum of two partners comprising individuals or body corporate and a minimum of two Designated Partners of which one must be an Indian resident. Apart from these, to form an LLP, the members need to obtain a Digital Signature Certificate (DSC), finalize a company name, outline an agreement and have a registered office. There are several listed consultants that can help one with LLP Registration in Bangalore and other cities at minimal cost. The first step involves the Designated Partners has to obtain a Digital Signature Certificate (DSC). 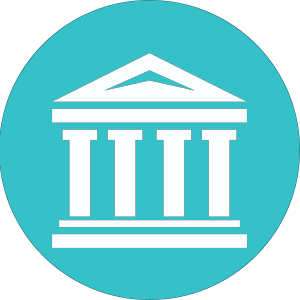 The application for an LLP can easily be done online at llp.gov.in having clearly defined procedures and formalities for each step. The Designated Partners are then required to apply for Designated Partner Identification Number (DPIN) from the Ministry of Corporate Affairs. The DPIN is an eight-digit unique number given to identify each Designated Partner in the business. An application along with address and identity proofs is required to obtain a DPIN. It can be noted here that if a member already has a Director Identification Number (DIN), the same can be used as a DPIN without the need for a fresh application. Though there is no minimum capital required to start an LLP, each member need to invest as per their capabilities towards the business. The investments or contributions are clearly mentioned in the LLP agreement and in case it is intangible, the monetary value of the same is defined. The members are then required to identify a name for the LLP by filing form – 1 towards MCA, Registrar of Companies and receive a name approval letter. Forming an Agreement is the most important document for an LLP as it describes everything that the company is, from its registered name to how much each partner is liable for. The Registrar of Companies (ROC) has to be notified of the existence of the LLP Agreement and any subsequent changes in the document. The LLP Agreement needs to be submitted within a month from the company registration by filing form-3. Applying for PAN and TAN. The registered office mentioned while applying for an LLP; will be used for all official communication and the partners also need to submit proof guaranteeing the right to use the office for business purposes. To register the office address, any utility bill such as telephone, electricity etc or property tax receipts, rental agreements, property deeds need to be provided. Hence, to summarize, the main steps involved in the registration of LLPs is identifying partners, identifying the designated partners, finalizing and filing the company name, obtaining DSC and DPIN, forming the LLP Agreement, submission of required documents and registering the office address. Digital Signature Certificate (DSC) is an electronic secured certificate which is used to proof the identity of a proposed director/person for signing on various documents digitally. DSC is an essential certificate for directors in a company to authenticate his/her signatory for specific purposes in a business. For this, it must require to apply DSC for directors on MCA portal and obtain it. Director Identification Number (DIN) is a unique identification number is issued by MCA department and is allocated to designated partners of a company for specific purposes. DIN is must necessary to sign on various applications, returns and documents of the company, so all the intending or existing Directors have to obtain fresh DIN by applying through the Form – DIR-3 only on MCA portal. Company Name Approval is the most vital thing, as per the rules and regulations of company law for choosing the name of a company; it shouldn’t possesses any word that already has incorporated for other company as mentioned in Section 4 (2) & (3) of the Companies Act, 2013. Your company name should be absolutely unique one to get approval from Registrar of Companies (ROC) in MCA. LLP Agreement is the very basic key elements of a company and plays a very important role during the formation of company. 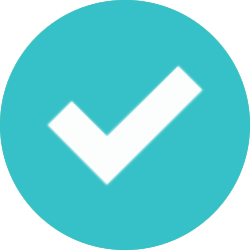 LLP Agreement document which contains all the fundamental necessary data to incorporate a company and rules, regulations and rights to govern the company. 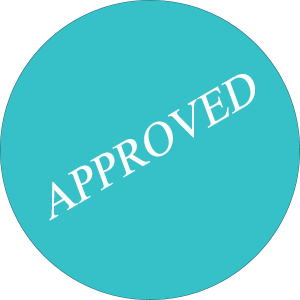 Drafting LLP Agreement for LLP company is a one more step to incorporate a company. Company incorporation is the last step to incorporate a LLP company in India where the applicant has to submit all the Forms along with relevant documents to the regional ROC in MCA portal, after all the verification process is completed, then MCA will issue a Company Incorporation certificate in favour of your company. And now you are pleased to see your COI, let’s move forward to your goal. Applying PAN and TAN is the next step towards your accomplishment of LLP company incorporation; after receiving your certificate of incorporation from Ministry of Corporate Affairs, we will help you to apply and obtain your PAN & TAN for the company. This PAN and TAN are usually used for banking formalities, company informaton and tax deduction purpose. A main advantage of an LLP is that the partners are bound by the agreement made during the formation of the company. This reduces the instances of fraud, money laundering etc especially when the number of members is more. Also, the partners’ liabilities are restricted to their share of capital in the company. Hence, in a way, each member’s share capital is protected from the others in an LLP. An LLP does not require any minimum share capital to come into existence and hence can be opened with very less finances. The Government regulations imposed on an LLP are also far lesser than on other types of companies which results in less interference and smooth operations of the business. Since an LLP has a distinct legal entity, it can issue legal notices in its name and be sued by other businesses or individuals. 1. An LLP company has a legal entity different from its partners, like in a private limited company. It can be formed by any two or more individuals aiming to earn profit from their business by filing for the same with the designated Registrar of Companies (ROC). 2. The minimum numbers of partners required to form an LLP is two with no upper limit for the maximum number of partners. The partners’ responsibilities are clearly defined via an agreement called “the Deed of Partnership” which can be revised by them as and when needed. 3. The liability of each partner is limited to their contribution towards the company and their personal assets and liabilities are to be kept separate from the company’s. The partners in an LLP are not liable for each other’s action in the business, that is, one partner cannot be held responsible for any fraud or misconduct committed by another. 4. For a business to register as an LLP it must be a “for-profit,” that is, the objective of the partnership must be to earn profits through its transactions. This rules out not-for-profit organizations like NGOs and other social services initiatives to be called as LLPs. 5. LLPs need to declare their account statements and solvency each year and must maintain these diligently in order to avoid legal proceedings. They also need to get their account statements audited if their contribution towards the business is more than 25 lakhs and the turnover of the business exceeds 40 lakhs in a year. 6. An LLP cannot raise equity capital from the public; that is, it cannot go public and participate in the stock exchanges of the country. 1. An LLP is considered a body corporate and enjoys its own legal rights. Due to its nature of limited liability, the partners are not liable to the company’s lenders individually. 2. Also, an LLP can function after the death of its owners or even if the owners decide to quit. This means, the functions and company rights of an LLP can be reassigned to another person or legal entity. The LLP, by itself can sell, acquire, or transfer its property or assets in its name. This renders the LLP with separate ownership rights than its members. 3. Finally, maintaining accounts for LLPs is comparatively easier as there is no mandate to conduct an audit in case of a turnover lesser than 40 lakhs and contribution lesser than 25 lakhs. An LLP is a perfect choice for startups due to its fewer regulatory compliances and cost-effectiveness. An LLP makes sure that the reign of control stays within the members of the firm which is absolutely essential in case of a startup. Startups venturing into the services and digital sector will be particularly suited for an LLP. LLP brings together the advantages of partnership model with limited liability. 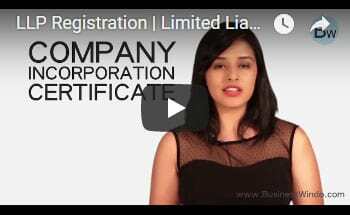 Although many new entrepreneurs want their companies to register as private limited companies, the benefits of LLP are no less. In fact, LLPs are more suited for businesses whose operations need to be managed closely, who have limited funds and who want to enjoy the profits from their businesses directly, all these with limited liability. To register a Limited Liability Partnership (LLP) in Bangalore and metro cities like Mumbai, Delhi etc, startups can take the help of verified and registered consultants. Business owners should however, weigh the pros and cons of an LLP thoroughly before taking the plunge. They should keep in mind the time and cost involved to get an LLP registered, the tax implications, books of accounts to be maintained, the “Deed of Partnership” that needs to be formed, etc. If decided with clear business objectives in mind, an LLP will certainly be the best for startups given its characteristics and advantages.